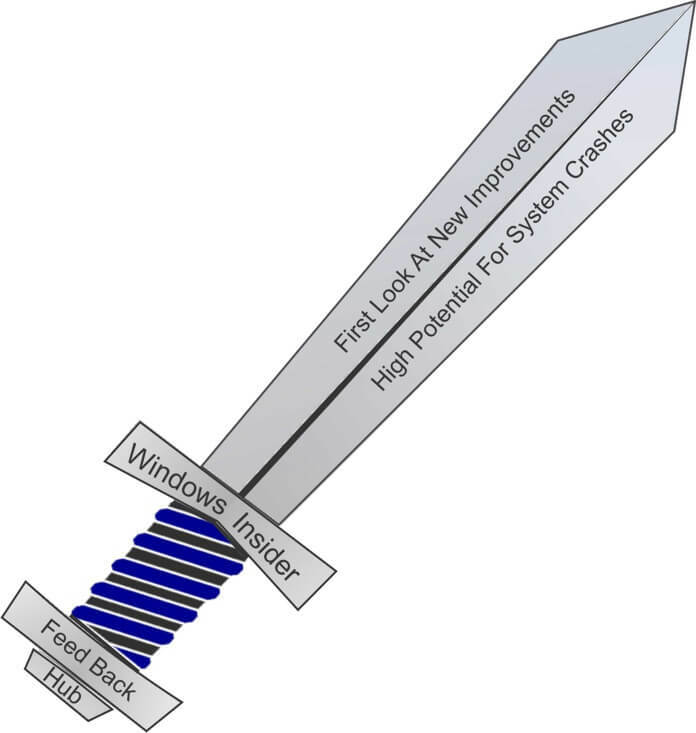 Being a Windows Insider is a double-edged sword. On the plus side, it gives you an early first-look at some of the upcoming improvements to Windows that will be introduced to regular users once the bugs have been ironed out. On the negative side, you are more likely to come face to face with conflicts that can cause issues with your system or in some cases, crash your computer completely, especially if you are in the fast-ring like I am which means you receive the very first releases. In the latest release, “Windows 10 Insider, Version 1809 OS build 18290.1000”, I benefited from both the good and bad. 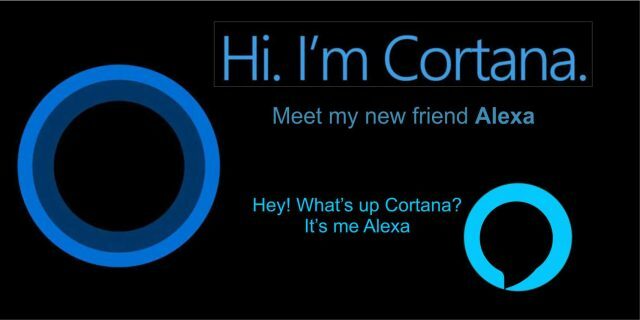 The good was knowing that Cortana will now be able to communicate with Amazon’s Alexa. If you are currently using these digital assistants separately, you will be happy to learn that you will be able to say, “Hey Cortana, Open Alexa” or “Hey Alexa, Open Cortana”. There are several benefits for both Microsoft and Amazon users. Being able to open Cortana from your Alexa device will give you complete unfettered access to any of Microsoft’s software that currently works with Cortana. Using Alexa, you will now be able to set appointments, read email and use Alexa to better surf the web. For Cortana users, you will no longer be hampered by its limited skill set. Alexa will open Cortana users to over 20,000 skills currently accessible to Alexa users. It appears to be a “Win-Win-Win” situation for both companies and users alike. There really is strength in combining the two digital assistants. Microsoft has created Cortana to be an assistant for its Office products, particularly its Office 365 Suite. Giving Alexa access to your Word and Excel documents can boost productivity for tech-savvy users and businesses alike. Another possible boost for Alexa users is that Microsoft mentioned a possible integration with LinkedIn. It’s a social networking site designed specifically for networking within the business community. Microsoft purchased LinkedIn for $26.2 billion dollars, one of its largest priced acquisitions, so you can imagine they have big plans for it. It is pretty obvious that Microsoft wants to make Cortana an integral part of your everyday experience with Windows 10 and beyond. Combining it with Alexa makes sense on several levels. Both tech giants have expressed a willingness to work with Apple’s Siri and Google Home but until I see it, it is still a dream. If you noticed, earlier in the article I did mention that I benefited from both the good and bad aspects of the latest upgrade. The Good— Not only is Cortana working well with others, but it is actually working better all by itself. I have noticed the improved speed and recognition when asking it questions and frankly, once you get used to it, it is much easier to say, “Hey Cortana, open Control Panel”, then actually looking for and clicking on the App. Having Cortana set to recognize your voice without having to click on the microphone icon makes it very easy to issue commands. There was an added benefit to having Edge crash– as I mentioned, there was both good and bad with the latest Insiders’ release. My next article will describe how I started using Cortana with Chrome. It is something I have been wanting to do and Edge crashing kind of forced my hand. Jim. There must come a time when personal security needs to outweigh the progress allowed us by technology. Allow me to digress. When wireless monitors were first introduced, those that parents use(d) to check on their infants, everyone was excited and it was a must have. I remember listening to a fellow visitor from Europe, who said this would help the police in his country keep a silent watch on their citizens without having to bug them, as they did the work for the police. Fast forward to today. Having a device which connects to the Internet, listens to every word, silently in the background, waiting to come alive when assistance is required is frightening to me. Maybe also transmitting everything to wherever. You get the picture. Even wireless security cameras can be hacked if not properly installed, allowing strangers access to your life. Forget allowing others to share your wireless Internet access, since this is trivial in comparison. Yes indeed, Big Brother is watching and listening over us. Sadly we opened the door and let him in, Mindblower! MB, while I understand where you are coming from and to be sure your point has a degree of merit, I just do not subscribe to it. You would not be viewing this on your computer without progress. I would bet everything I own that more baby’s lives have been saved by baby monitors then any ease dropping issues they created. I know it has happened, (to someone, somewhere) but I have never personally known anyone that suffered by digital assistants. Technology works both ways. The same argument of invasion by Big Brother can be used by the use of CCTV, which was and is very contested. We now have systems in place to see inappropriate actions by police, military and hundreds if not thousands of criminals caught by CCTV. I personally applaud their use. Mostly because I have nothing to hide and I know that it is impossible for anyone to sift through a trillion terabytes of data without a specific search in mind to see anything I have done. But if it searching through it stops one pedophilia and saves a chiles life i am all for it. If one were to believe that democratic governments had the manpower to see or hear everything that is going on, perhaps I would understand their concerns. Once again, I believe that any potential harm that technology can produce is enormously outweighed by the good it does. I don’t care if MS, Google, Apple or whoever is listening in because I know that the development of these technologies will help our future. I understand that there are a thousand doomsday scenarios that can result from progress of any kind but I remember a quote, that stated, “It is ironic, that the time available to critique digital technology is actually time made available by technology. Then again I have been wrong before. 🙂 Always appreciate your input.